We live in the information age, but modern life has been transformed by the standardized shipping container as much as it has by the internet. 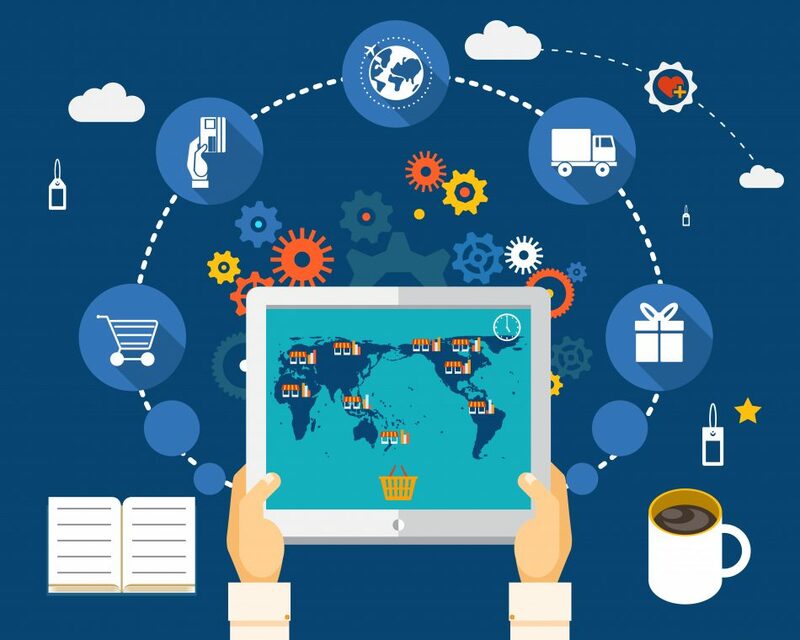 The discipline of supply chain management has changed how people buy things, from Amazon to Etsy, from bulk packages of paper towels to small batches of single-origin coffee. The improved efficiency of these supply chains has also knitted the world together, creating an interdependent global society. But what does journalism have to do with supply chain management? And in a time when most information is delivered digitally, what can journalists learn from this way of understanding the physical world? Joe Germuska, chief nerd at the Northwestern University Knight Lab, started wondering about these questions after taking a class in supply chain management, so Journalism + Design invited him to put together a workshop for journalists, educators, and students to explore this relationship between boxes and bytes. The workshop began with Germuska handing out paper bags containing a mystery object: Wite-Out correction tape, a TSA-friendly spray bottle, a stuffed toy owl. In groups of three or four, participants tried to think of all the various resources, vehicles, and people involved in getting those objects into the room, from inventors and designers to factories and shipyards. Before a plastic bottle can cross the ocean from China on a container ship, a tanker has to bring petroleum from somewhere else to be refined into plastic. One group even mentioned the dinosaurs and other organisms that decomposed centuries ago, eventually turning into oil. Germuska explained that there are five kinds of participants in the supply chain: manufacturers, suppliers, transporters, retailers, and consumers. When it comes to automobiles, for example, it’s clear who plays which roles. And in the era of print newspapers, there were paper mills and ink producers, printing presses and delivery trucks, schoolboys on bicycles tossing bundles onto the porch. But what if you take the supply chain as a metaphor for today’s information ecosystem? Are reporters more like manufacturers, because they write stories, or transporters, since they carry information from sources to audiences? Where would you put Fox News, WordPress, or Facebook? “It was even harder than I thought it would be to map information processes into the classic physical supply chain,” Germuska said after the workshop. Which was partly the point of the exercise: to get everyone in the room to reconsider their assumptions about the information ecosystem and examine how their own work fits into that. “I do feel like a lot of people in journalism aren’t ready to reimagine what they’re doing,” Germuska said. 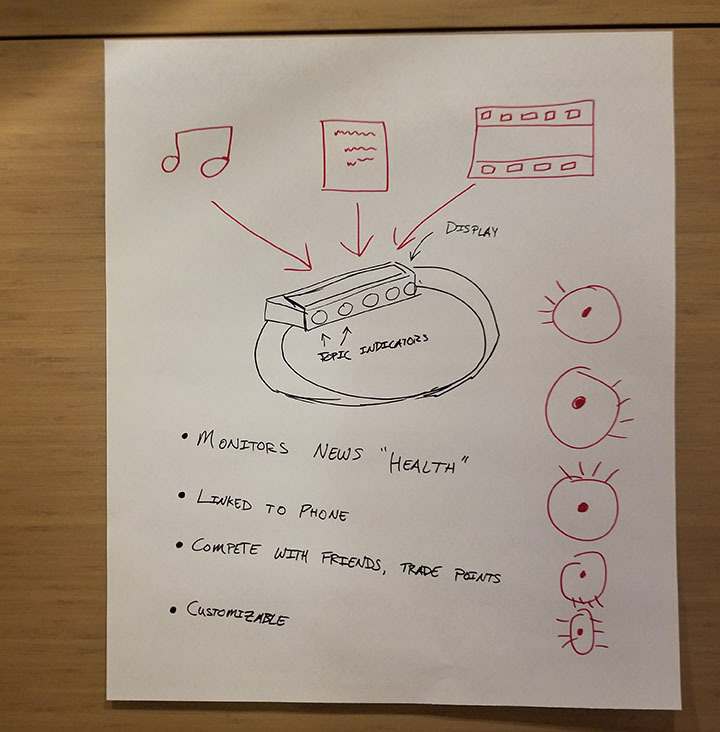 At the end of the three-hour workshop, having shifted the participants’ perspectives, Germuska had them collaborate on new ideas for the information ecosystem and gave them time to create prototypes. One group sketched out an app for discovering newsletters. Another dreamed up a fitness band that could encourage a healthy news diet. These quick prototypes were meant to be rough—not finished or realistic designs. “It’s a lot to just say, ‘Hey, it’s really time to think differently, and it’s not about a magic solution. It’s going to be a process, and it’s going to take time,’” said Germuska. The process he’s talking about is design. “At its core, design is a matter of being curious and skeptical and empirical,” he said. And those words can apply to any journalist.